Thirteen lovely candidates battled their way for the title and crown as Miss Negros Oriental 2018 during the Buglasan Festival 2018. Read more here! The competition of the Buglasan 2018 High School Marching Band Competition is known as the biggest competition in the province. Read more & Watch Video here! 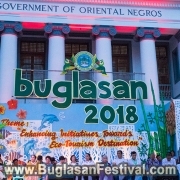 Buglasan Festival 2018 Now Open! The Buglasan Festival 2018 is now officially open! The Festival of Festivals here in Negros Oriental will be a two weeks celebration. Find Schedule here! 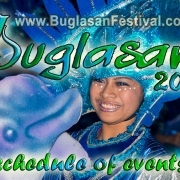 https://buglasanfestival.com/wp-content/uploads/2018/10/Buglasan-Festival-2018-Opening-Salvo.jpg 506 900 Daisy https://buglasanfestival.com/wp-content/uploads/2017/05/Buglasan-Logo-big.png Daisy2018-10-14 01:16:182018-10-14 01:19:04Buglasan Festival 2018 Now Open! 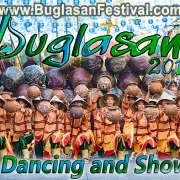 Buglasan 2018 is here! It’s time to celebrate the Buglasan Festival 2018 in a colorful and merry way. 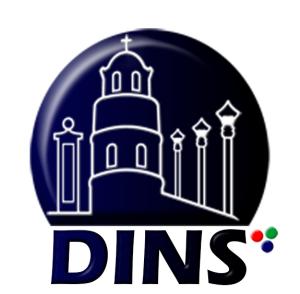 Find the full schedule of events here! Buglasan Festival 2017 Showdown and Street Dancing Competition was a celebration full of surprises. View some pictures and winner results here. Buglasan Festival 2017 Bulilit Singing Competitions was held with three categories: minus-one, duet, and children’s choir. Click here to see the results. 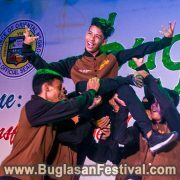 Buglasan Festival 2017 celebrates the Rap and Hip-Hop Dance Competition. Click here to read more, see more pictures and results of the competition. 13 candidates competed for the title and crown as Miss Negros Oriental 2017. Click here to read more, see pictures and view the awarding results. 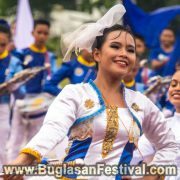 The Buglasan Festival 2017 Elementary and High School Marching Band Competition was held on October 14, 2017. Click here to read more and see the pictures.